Whatever happens at the July 2 election, writes managing editor Dave Donovan, Malcolm Turnbull's days as Liberal Party leader are numbered. THE FAKE CAMPAIGN is over and the real campaign has begun. Turnbull has called a double dissolution election over something or other … oh, that’s right, the ABCC — which nobody has talked about at all since the election was called on Sunday. Tricky Turnbull, as ever, was too clever by half. It doesn’t bode well for his chances. Just after Turnbull took over the leadership last year, my family were staying with my mother-in-law on her farm outside Armidale, in New England. They were baling hay there at the time and so, on the first morning, I went out to help. To his surprise, I said no. To his greater astonishment, I told him I wasn’t even sure if Turnbull would win the next election. The mainstream media often can’t seem to remember past the last press conference or opinion poll. Malcolm Turnbull might be riding high right now [his approval rating was in the 70s at the time],but that won’t last. This is still the same Malcolm Turnbull who was dumped as leader for Abbott in 2009 after the Godwin Grech affair, with an approval rating in the teens. This is still the same Malcolm Turnbull who lost the apparently unlosable republican referendum after being outmanoeuvred by John Howard ten years earlier. The baler, a thoughtful and contemplative man, sipped his tea and nodded his head, barely perceptibly. There is no doubt Malcolm Turnbull is an intelligent man. But he isn’t a wise man. He’s not a strategic man. He may have some superficial charm, which the media appear to enjoy, but to ordinary Australians that could easily start to wear thin, as it did before. Which could easily be seen as pomposity or condescension, as it was during the republican referendum. His popularity could quite easy change to public contempt. Speaking of which, he is also hated by his own party − or at least large parts of it – who regard him as a lefty and who made him leader, through gritted teeth, simply to win the next election. They will be looking to get rid of him as soon as he does that — if he manages it. He will have little chance of getting anything done beyond the narrow conservative policy positions of his predecessor. The baling contractor chewed thoughtfully on a piece of straw. The baler poured the dregs of his tea out onto the ground and we went back to work. What I said to him, however, has been borne out over the last 12 months. 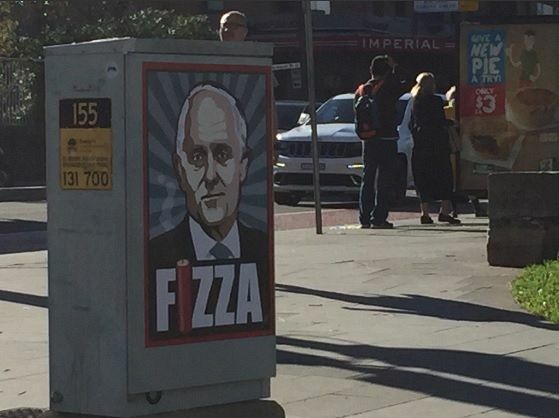 Turnbull's popularity is slipping. He hasn’t achieved a thing. He has made numerous gaffes and silly mistakes. And now, as his Government moves into an election campaign – a needlessly and recklessly prolonged election campaign – behind in the polls. He may still win this election and be returned to Government − in fact, the chances are he probably will – however, if he does, I expect it will only be by a handful of seats or perhaps even in a hung Parliament. But unless he gets a shock landslide on July the 2nd, I would suggest Malcolm Turnbull's days as Liberal leader are numbered. He should make hay while the sun shines. It's not that we're angry with you, Malcolm.